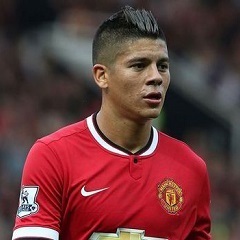 Cape Town - Marcos Rojo is ready to demand a summer move from Old Trafford as Paris Saint-Germain keep close tabs on the Argentina defender. The 29-year-old was on the verge of leaving last year after running down his contract before the Red Devils persuaded him to sign a new three-year deal. United also have an option to extend that by a further year, believing the defender can still fetch around £25m on the open market. Rojo has started just once in the league this season and has fallen off the radar due to the improved form of Victor Lindelof, plus new deals for Chris Smalling and Phil Jones. The South American knows PSG were keen to sign him last year and they still hold an admiration for the player, with a strong Argentine contingent already in situ at the Parc de Princes. Rojo earns around £120,000 per week, while the Red Devils also have a decision to make on the future of Eric Bailly, which is why Rojo is considering his future.